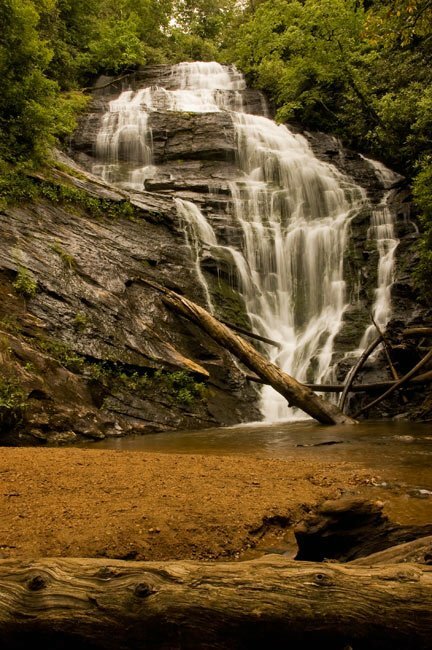 King Creek Falls, also commonly called Kings Creek Falls, is a truly spectacular waterfall located in the Sumter National Forest near Mountain Rest in Oconee County. It is 75 feet high, and there is a small beach to the left of the falls. Fallen trees surround the small plunge pool and make for restful benches after a long hike on the King Creek Falls Trail. 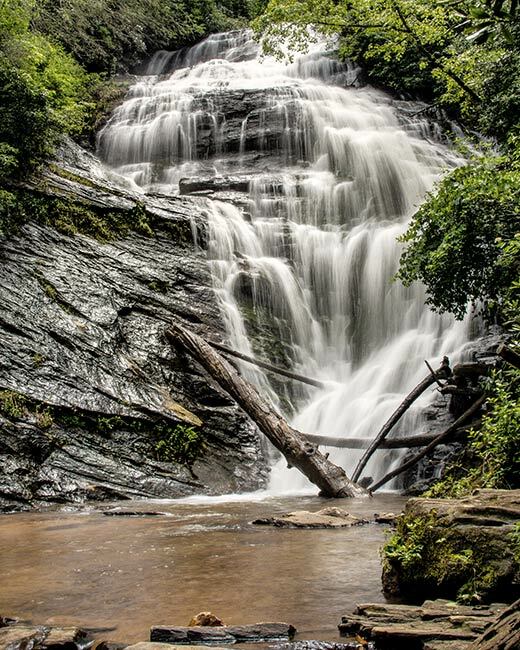 The trail to King Creek Falls is one of three major hikes along the the Chattooga River. The river is one of the few remaining free-flow streams in the Southeast – meaning it is not dammed anywhere along its course.